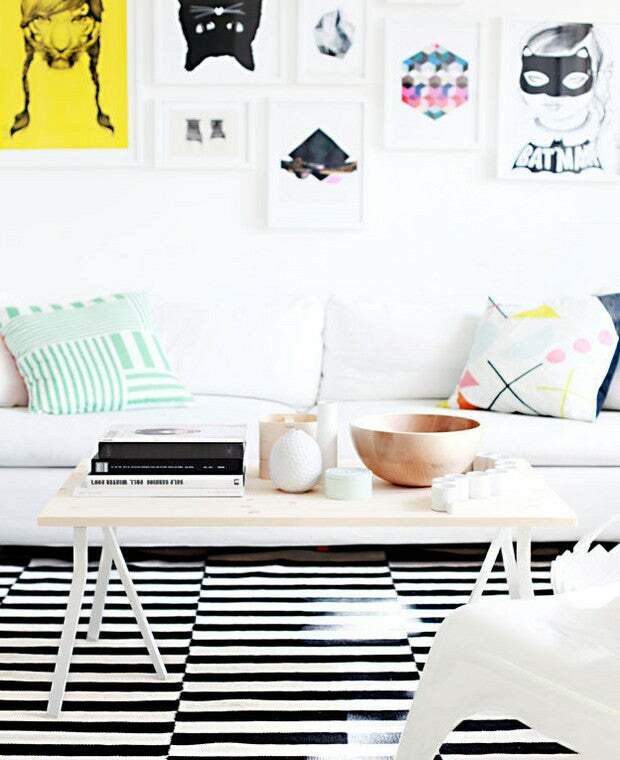 By now you know, we LIVE for epic Ikea hacks. And while, yes, there are companies that will basically hack your furniture, hardware, and decor for you, we have a serious soft spot for the creative DIYers who are able to turn the Swedish retailer’s iconic staples into reimagined masterpieces all on their own. Call it deception or utter ingenuity, we can all agree the internet’s varied iterations of Ikea’s home essentials are nothing short of inspirational—no matter which way you label it. From a tabletop-turned-headboard to incredible Tarva dresser upgrades to easy Kallax elevations, we’re always on the lookout for new and noteworthy transformations. So, who better to source clever hacks and reinventions from than the pros who know their way around Ikea best? We recently caught up with a few of our favorite interior designers to learn which recreations have blown them away. While some of the examples ahead are projects they’ve only admired from afar, many of these do-it-yourself hacks are ones they have tried and completed themselves! Read on for their favorite ways to upgrade the essentials. To say that Ashley Rose, creator of the blog Sugar and Cloth, is a DIY expert would be an understatement. The crafty designer (and winner of Domino’s Best DIY Blog in 2017) has stylishly and successfully executed a number of home-focused ikea hacks over the years. Her most popular reinvention? This stikwood headboard. If you’re not familiar with stikwood, it is essentially reclaimed wood that has already been finished and boasts an adhesive backing. Here, Rose took the Ikea MALM bedframe and puzzled together stikwood along the headboard to create the look and feel of a piece that had been finished by a pro woodworker. Get the full how-to on this rustic-chic bedroom hack on Sugar and Cloth. Now swathed in a fresh, dynamic pattern, you’d almost never know this duo came from Ikea. photography by Casey Brodley for Oh Joy! Who would have ever guessed that a former placemat could double as an incredibly rad handbag? Apparently, Joy Cho, the bold and colorful creative and founder behind Oh Joy! did. This perforated, summer-approved purse is one of the designer’s favorite Ikea projects. “We love taking one thing and transforming it into something you might not expect!” Cho writes in her DIY guide. To get this job done, you’ll need a simple woven placemat (like the SAMTLIGA placemat), rope, parachute cord, monofilament, an embroidery needle, and a hot glue gun. photography by Lily Glass for Oh Joy! Another Joy Cho-approved transformation? With two kiddos of her own running around at home, the designer understands the value of savvy toy storage. “We started with this inexpensive Ikea coffee table that was simple to put together. But we wanted to add a little color and fun to them so we busted out the spray paint and painted each one a different shade of blue,” Cho explains in her guide. Talk about a practical and cool way to wrangle your little one’s go-to toys. The best thing about Ikea’s LALLEROD coffee table is that it keeps clutter from accumulating on the floor while still letting you easily spot and grab what it holds inside. “The ‘Fauxdenza,’ which we implemented in our own house all the way back in 2012 after seeing it on Brick House (a blog we miss), completely changed the decor game, in my opinion. Using Ikea cabinets hung on the wall as a credenza opened so many doors and has made its way into so many homes for good reason. It is practical, stylish, customizable and budget-friendly!” Julia Marcum, one part of the husband and wife duo behind the award-winning renovation and design blog Chris Loves Julia, tells Domino. “Bookshelves that have been hacked to look custom” also reign high on designer and stylist Dee Murphy’s favorite hacks list. Though simple by design and functional in nature, Ikea’s Billy bookcase can easily be transformed into a statement-worthy storage accent with a little paint, and a lot of love. In the same vein as Jenny Komenda’s rendition, this arched, color-coded display from Design*Sponge aims to impress. Jacquelyn Clark of lark and linen is also a big fan of ikea office hacks”] Her friend and go-to DIY-er Jess Blazejewski created a next-level workstation by covering a standard desk in linen. Get the full how-to for the project here. “My own version of the Sinnerlig hack consisted of taking a colorful pompom tassel garland from Crate and Barrel Kids and hot-gluing it onto the border. It added instant color, texture, and pattern to the already-popular lamp for my girls’ colorful room,” says Domino’s 2017 Best New Design Blog award winner, Anita Yokota. Want to see more genius ways to spruce up your Sinnerlig pendant? From a holiday-ready paper ribbon iteration to a light fixture-turned-side table, you can check out a few of our favorite recreations here! “Ikea’s mix-and-match table bar has turned out some amazing hacks—designers make some really chic workspaces using the various tops and legs. A little paint and styling and it looks really modern,” dishes artist and desert-dweller Lindsay Hollinger. Need a bonus spot to catch up on your crafts? What about an at-home nook for when Fridays at the office are optional? Consider this hackable surface your new, all-encompassing workstation. Get the how-to for this marble table on Design*Sponge. The key to hacking any Ikea statement piece of furniture with minimal effort? A cool paint color and fresh hardware have the power to change the entire look and feel of a once-tired staple item—be it a bedroom dresser or kitchen cabinet. The most wow-worthy hack Stephanie Andrews has laid her eyes on recently? “These basic shaker closet doors transformed by elegant new hardware and mirrors,” the Atlanta-based designer tells Domino. HGTV star Leanne Ford is also a major supporter of easy, elevated accessory swaps. “I love using Ikea cabinets with different hardware!” she says.